Bermuda's first geo-cache mobile game for local attractions. Collect points for every Hidden Gem that you visit in Bermuda. Compete with your friends to rank higher on the high score board. Learn about different places in Bermuda off the beaten path. Hidden Gems of Bermuda has a cool feature that allows you to update your own Avatar with an easy-to-use selection process. Choose the gender, skin color, hair style, facial expression, and clothes you want to represent you in the game! Your Avatar can look just like you, or completely different, the choice is yours. By adjusting what interests you, and what doesn't, the game will be able to pick certain activities for you to do each day that will cater to what you like. These include categories such as finding local deals, gaining unique experiences, viewing famous attractions, participating in outdoor activities and social events. You decide what you prefer to do while you are in Bermuda! Keep up to date with the latest activities happening in Bermuda by checking the What's On Today page. It will give you a customized list of suggestions of any Hidden Gems you should visit, based on what you are interested in. Here you will find secret locations, famous people, options for local dining, and available activities. You can also read more about a particular item or see where it is located on the map to plan accordingly. The more Hidden Gems you collect the higher your score becomes. With each secret location you go to, you can claim more points and win special items or achievements. While you master all of the items available, you can share with your friends on Facebook to let them know as you advance towards becoming the Cultural Champion of Bermuda! 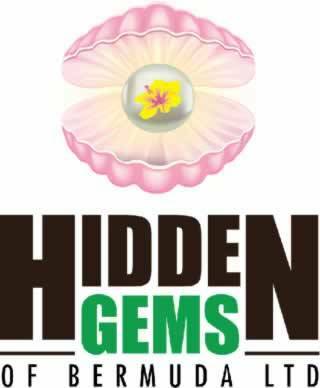 Learn More about the Hidden Gems Tour! official Hidden Gems of Bermuda Tour.